West Australians are being urged to stay indoors until the weakening but still extremely dangerous tropical cyclone Veronica passes. 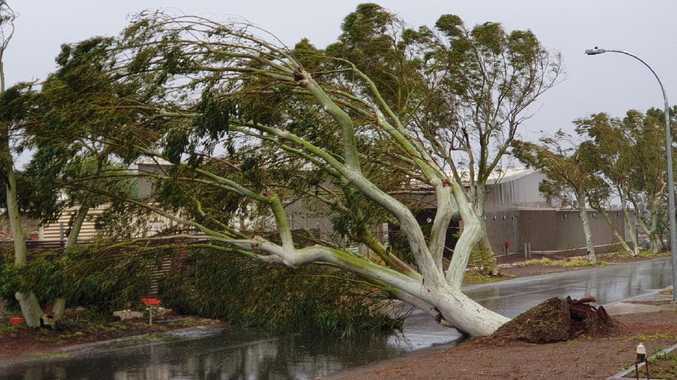 The category three storm brought very destructive gusts at more than 200 kilometres per hour as it tracked along the coast between Karratha and Port Hedland on Sunday evening. Premier Mark McGowan urged people to stay indoors, even those who had weathered cyclones before, because the vicious storm was moving slowly. 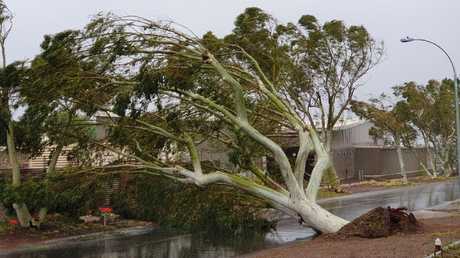 "People in that part of the world are used to cyclones but this one is different," Mr McGowan said on Sunday. The Bureau of Meteorology said the storm will weaken overnight and into Monday morning when it will begin to move west. But the danger will remain for some time and communities should expect to remain indoors through Monday. Widespread rainfall means major flooding over the Pilbara coast is likely through the day. Rivers are rising and roads and communities could be cut off and isolated. A dangerous storm tide was also predicted to hit the region in the early hours of Monday morning and damaging waves are predicted to bring inundation. Many communities remain at red alert status. 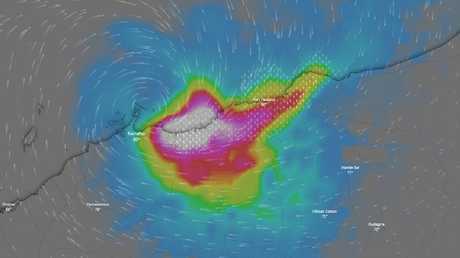 West Australia is not the only state copping extreme weather as ex-tropical cyclone that passed over far north Queensland on its way to wreaking havoc in the Northern Territory is heading back east. Thousands of people were evacuated from coastal and island communities to escape the destructive winds and downpour brought by Trevor. But it has since weakened to a tropical low and is now tracking towards western Queensland just south of Mt Isa, where forecasters say it will dump heavy rain for a number of days from Monday. There is a potential for flooding south of the cattle farming region devastated by floodwaters last month, but meteorologists are watching closely. "Those areas could get some rain, and heavy rainfall is hard to rule out at this point," the Bureau of Meteorology's Lachlan Stoney said. "(We are) not necessarily forecasting there to be widespread floods, but flooding would be something that we are monitoring closely for areas south of Mt Isa." Disaster assistance has been made available for communities in Aurukun Shire Council and the Lockhart River Aboriginal Shire Council to help in the clean up and to restore infrastructure. 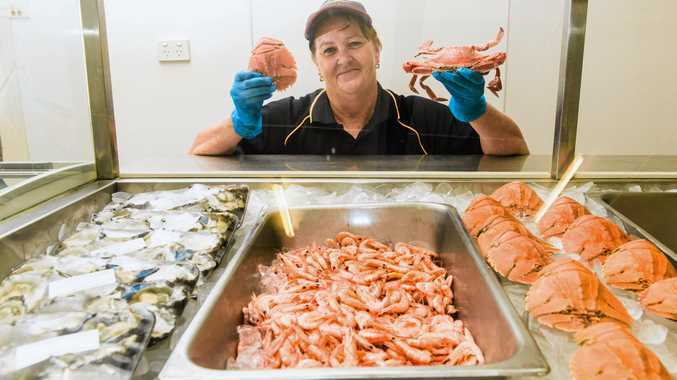 Meanwhile people pulled from the path of ex-tropical cyclone Trevor in the Northern Territory are being returned home as assessors clear houses in communities up and down the coast.